LONDON – VAT fraud in the UK has become such a widespread problem that the revenues losses it causes every year would be enough to pay for several new hospitals and could also allow the government to significantly reduce taxes for all taxpayers. On January 7th the accountancy and business advisory firm BDO released a new report on Value Added Tax (VAT) fraud in the UK, showing that billions of pounds of the country’s tax revenues are lost to tax fraud committed by local businesses. BDO estimates that the gap between the tax revenues that the HMRC expects to collect from VAT and the real amount collected is approximately GBP 10 billion per year, and an estimated one third of these losses can be attributed directly to fraud committed by businesses. 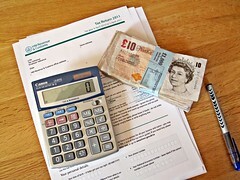 Approximately half of the revenues lost to VAT fraud are caused by accidental mistakes made by traders or deliberate, but relatively small, omissions by legitimate businesses, while the other half can be attributed to a limited number of traders who are routinely committing VAT fraud through large scale schemes, such as Missing Trader Fraud and Carousel Fraud.